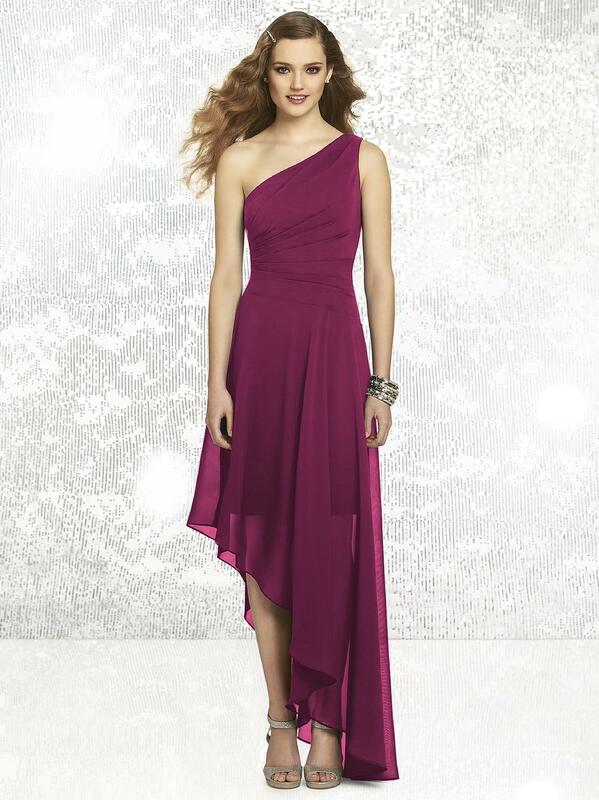 One shoulder nu-georgette dress w/ draped bodice and asymmetrical waistline. Hi-low hem. Sizes available: 00-30W, and 00-30W Extra Length.